The only positive news about his first three months in office is things would have been worse under Hillary – both choices deplorable, polar opposite what’s vitally needed. Trump’s swamp is more infested than earlier ones under his predecessors – filled with reckless warmakers, crooked billionaires, Wall Street predators, corporate insiders making administration policy decisions, and over 200 corporate bosses meeting with him face-to-face at the White House alone. His agenda aims to make America greater than ever for its wealthy, powerful and privileged – ordinary people fed lip service only, meaningless promises, ignored as soon as made. On April 17, a Public Citizen report headlined “Corporate Executives Swamp the White House” – over 200 so far meeting with Trump, on average over two daily. “Counting repeat attendees, he has had at least 222 corporate executive meetings” – besides numerous conversations with others, notably wealthy donors and giant corporate heads. “Since the November 8 election, (he) met with at least 224 corporate executives,” mostly in groups, individuals “shap(ing)” administration policies, said Public Citizen. 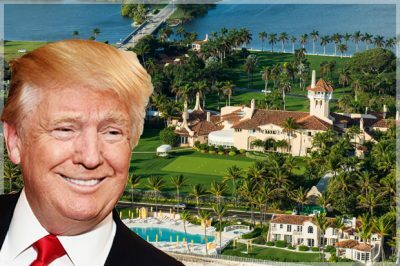 He’s met with others at his Mar-a-Lago Palm Beach, Florida resort. Many gatherings and individual meetings reflect his aim to help specific corporate sectors – including Wall Street, defense contractors, automotive, Big Pharma, agribusiness, tech giants, healthcare insurers and others. One in every five executives he met represents predatory banking or finance. Days earlier, his administration said it’ll no longer disclose logs on White House, Mar-a-Lago or Trump Tower visitors. What is he trying to hide? America’s deplorable state got worse on his watch – in record time. What’s likely coming should terrify and engage everyone.